Nobles Funeral Home and Crematory announces the funeral services for Shelton Ray Bennett, age 64, who passed away Sunday, October 21, 2018 at Appling Health Care Systems. 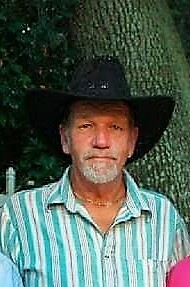 He was a native of Waycross living most of his life in Baxley. He was retired from the city of Alma and was currently a handyman for Norman McKenzie. He was preceded in death by his parents, Loren Ezra and Bessie Strickland Bennett, Sr.; two brothers, Loren Ezra Bennett, Jr. and William Wardell Bennett; one niece, Cathy Coleen Swain; two nephews, David Overstreet and Leo Estell Swain. Survivors include two sisters, Kathleen Overstreet and husband Tommy of Baxley and Susie Swain and husband Tracey of Alma; five nephews, Ryan Perry, Tracy Swain, Jr. of Alma, George Swain of Alma, Billy Overstreet of Baxley and Gary Overstreet of Waycross; four nieces, Gloria Bass of Alma, Keisha Richards of Hazlehurst, Torie Branch of Hazlehurst and Ginger Perry of Baxley; five great nieces; seven great nephews and several great great nieces and nephews. Funeral services will be held Wednesday, October 24, 2018 at 3pm at Nobles Funeral Home Chapel with the Reverend Dennis Bryant officiating. Interment will follow in the Rose Hill Cemetery. Visitation will be held one hour prior to funeral services at the funeral home. Active Pallbearers Ryan Perry, Gary Overstreet, Billy Overstreet, Norman McKenzie and William Fuprell. Nobles Funeral Home and Crematory is honored to serve the family of Shelton Ray Bennett.